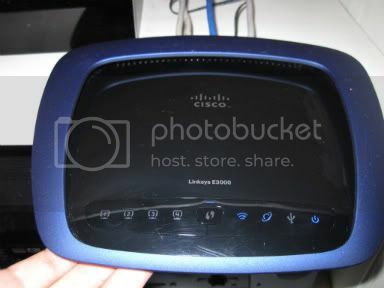 Since our beloved Linksys WRT54G started acting up we have been searching for a new and decided to go for the new Linksys E3000 wich from what we have seen seems to be one of the best routers on the market today. 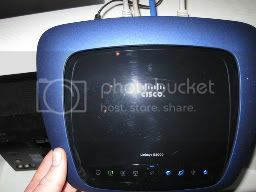 Linksys is made by Cisco, a personal favorite in networking for us, we have had some d-link routers in the part but there have always been some sort of problem or restrictions making them not fit our setup. 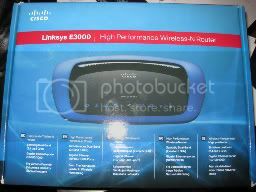 So you’re probably thinking by now that a high class router like the E3000 must cost both arms and a wooden leg but it’s not that bad actually Amazon.com lists it at 146.46$ and that’s not so bad considering what you get. Now for the installation part. To test the signal strength we use a laptop and simply walk out the door with it refreshing constantly to read of the signal strenght. To compare we should have had a second router standing right next to it but this was not possible at this time so we’ll use my next door neighbours network to compare to wich is basicly just a few meters apart so the difference is not that big from it’s SSID and alsow from the interface we know he has some sort of D-Link router. Now let’s get to it, just outside the door we see no change in signal strength but about 2 meters up the stairs (yes I live in a basement) we notice a little drop in signal from the Linksys but the D-Link is no longer on the list, keep in mid that the walls ar made of concreete and the routers ar below ground level. The signal from the E3000 gradually fade out and dissapear from the list at about 15 meters from the entrance door. The router is set up about 3 meters from the door so a signal range of about 18 meters through concrete and other household objects is not all that bad, in an open landscape it would probably be longer but we don’t know anyone who use they’r router on the middle of a field so we’re not going to test this. so, after all this mumbo jumbo about specs and looks, does it make it worth the money? in our opinion YES! 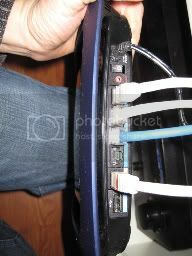 it really does it performes like a top of the line router and it’s as stable as a rock, we have used it for 4 months now and not have anny problems or had to reboot it for anny reason, brilliant!